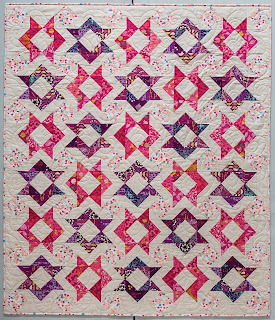 Welcome to my stop on the book tour for Stacey Day's Child's Play Quilts book. Stacey's book is a whole lot of fun. 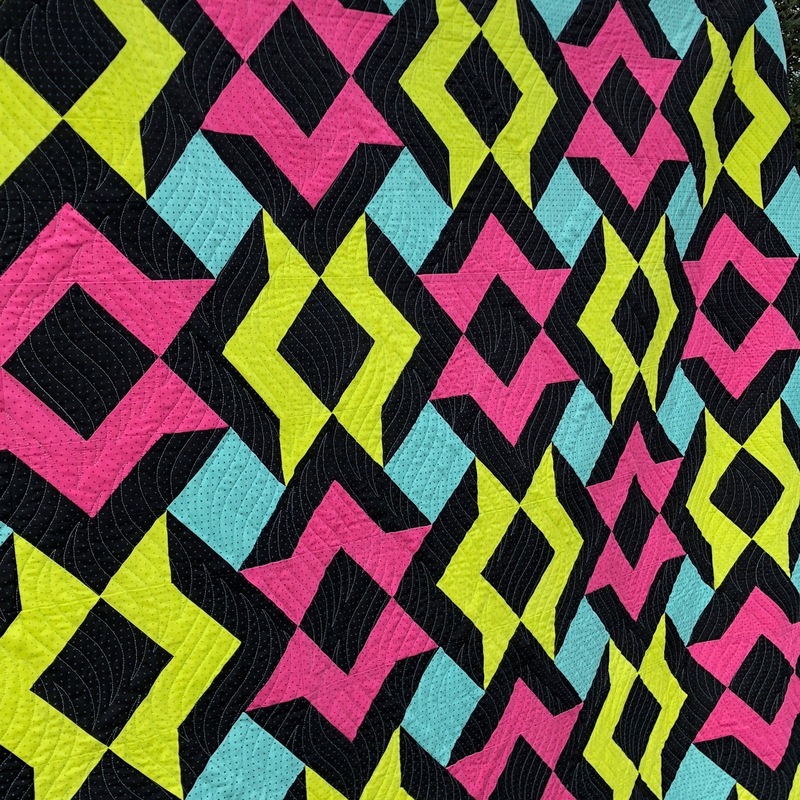 Divided into appliqué and pieced patterns, Child's Play Quilts features quilts to delight kids of all ages. For my project, I selected Swish. While I don't know what caught eye first, the pink and purple fabrics or the design, I just knew that I needed to make it. One thing that I really like about the book is that many of the quilts can be scaled to a larger size without a lot of difficulty. So, that's exactly what I did. 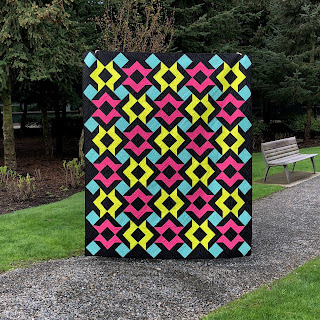 With a couple of quick calculations, I changed the finished block size up to 6" which bumped up the quilt from kid size to 66" x 78" - a perfect for me to use as a lap size quilt! I'll be the first to admit that I am not much of a scrappy quilter, so I selected 4 fabrics for my project. Technically, they are 4 colors of the same print, but I did say that I'm not a scrappy quilter, didn't I? Anyway, I love how it turned out. 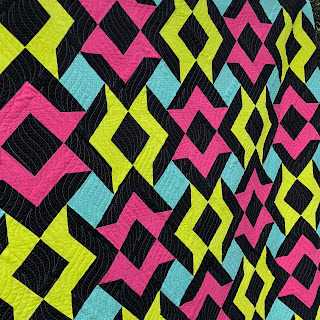 It has a very 80s/retro vibe which is really quite a departure from how the quilt appears in the book, but that's part of the fun of making quilts, right? In addition to the patterns, there are some really great tips on a variety of subjects, including organizing/managing your stash (a favorite hobby of mine). Anyway, I'm bet you want to know where you can snag a copy of your own Child's Play Quilts book! You can order a signed copy of the book through Stacey's Etsy shop or an un-signed copy through Amazon.com and C&T Publishing. Stacey is giving away a copy of her book to 2 lucky people (one winner via her blog and one via Instagram). To enter into the drawing to win your own copy of Child's Play Quilts, follow these three easy steps! The winner will be drawn on April 21st. 1. Read my post here on my blog - you're here, so you've got step one done! 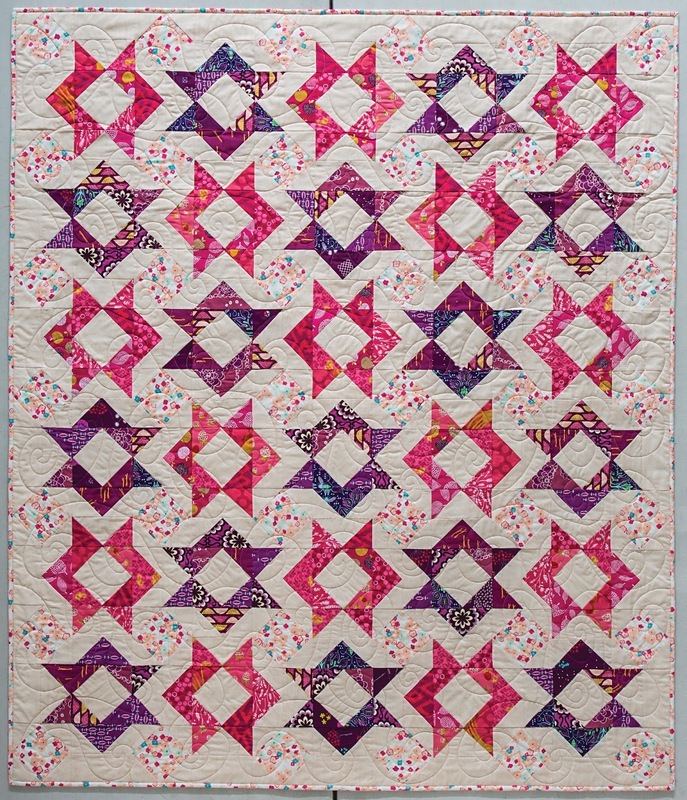 I'd like to thank you for joining me today on the Child's Play Quilts blog tour! Be sure to check out all of projects that the participants made for the tour. 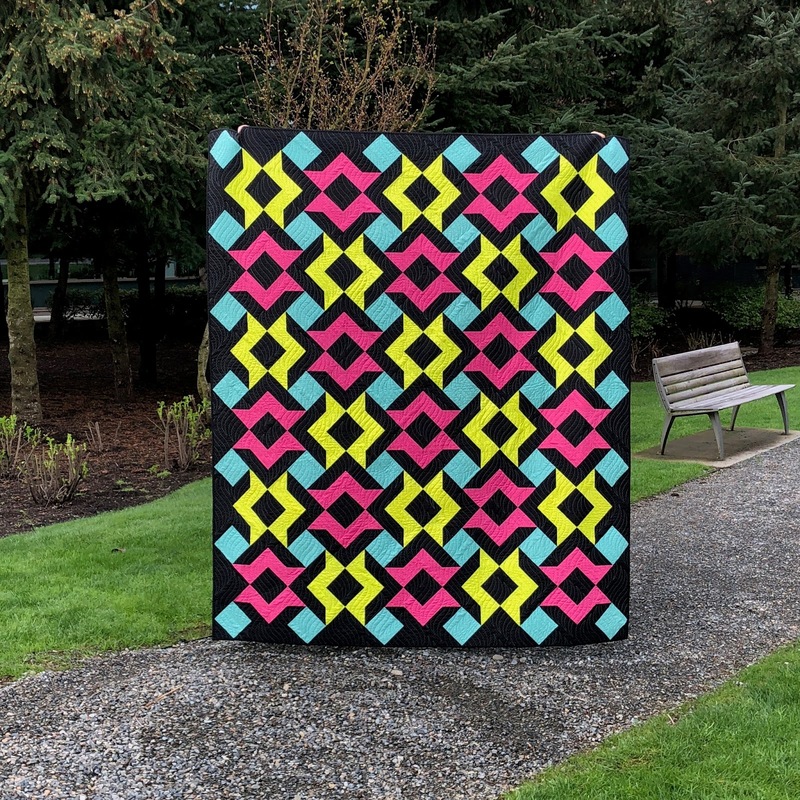 There are some very cool quilts! I would also like to say congrats to Stacey Day on the publication of her first book. You go, girl!